Ring of Cork: Colm's Island, with Ballycotton Lighthouse. Tours of the area are available from ballycottonlighthousetours.com. The Ring of Cork. See ringofcork.ie for more. A chandelier made from whiskey bottles at the Jameson Experience in Midleton, Co. Cork. Clifford Winser, Youghal's Town Crier. 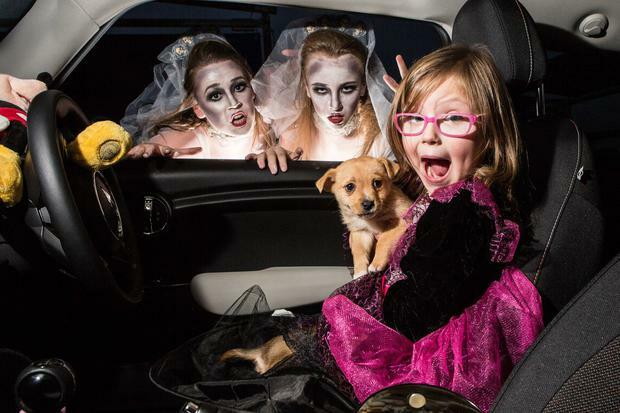 Halloween celebrations at Ireland’s only drive-in cinema, Movie Junction, Carrigtwohil. The celebrations encouraged movie-lovers to treat their pets and kids to the cinema in a bid to raise money and awareness for two of Cork's busiest animal rescue centres. Characters at Trabolgan Holiday Village. The Maryborough Hotel & Spa, Cork. So what is the Ring of Cork? The answer is a little bit of everything. The Ring of Cork works both as a route and a destination, looping around Cork City to take in a spectacular and surprising array of coast, towns and countryside along the way. Here are our 10 great reasons to visit. Got any to add? Take a stroll along the Ballycotton cliff walk, and you’ll come to a teetering series of steps leading to a beautiful (if bracing) bathing spot that locals call ‘Paradise’. Even if you don’t partake of a dip, the sea air, views of the nearby Ballycotton Lighthouse (pictured above) and sight of fulmars riding the air currents is divine. Towards the far end of the trail, a crease in the hills leads to a tiny cove at Ballytrasna, another secretive swimming spot. East Cork has several fine beaches (Myrtleville, Redbarn and Garryvoe among them) but this wee stretch of rocky coastline is something to covet. 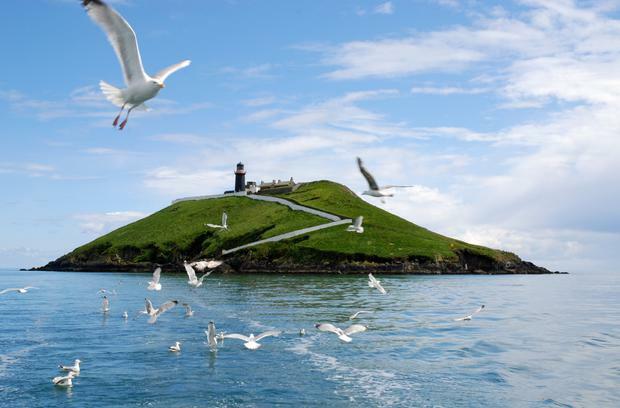 Ballycotton Island Lighthouse Tours run 90-minute boat tours (€20/€15) of the area. Check weather conditions ahead by calling 021 464-6875. You won’t go hungry on the Ring of Cork. From Midleton’s farmers’ market (Saturdays) to its idiosyncratic Farmgate Café, from Frank Hederman’s smokehouse to Cronin’s pub in Crosshaven (try the Mad Fish Soup, laced with brandy, cream and lots of fresh fish), you could do the Ring on a bike and still arrive home 10lbs heavier. Recommendations? I nabbed some marvellous monkfish fritters with home-cut fries at Sage in Midleton recently, Aherne’s of Youghal is one of Cork’s best seafood restaurants (with a Blue Book townhouse on the side), and for dessert, Fantastic Flavours Ice Cream in Cobh and Youghal offer 42 flavours of handmade, artisan ice cream using local dairy. It’s Ireland’s highest rated ice cream parlour by TripAdvisor, apparently. Every summer, hundreds of redheads gather for a weekend of ginger-loving madness in the coastal village of Crosshaven. Think carrot tossing, speed dating, a parade of natural redheads, certificates of genuine foxiness and the crowning of the Redhead King and Queen... it's a fiery mix of freckled and flame-haired fun for all the family. This year’s Irish Redhead Convention runs from August 21-23. All roads in Irish hospitality lead to (or from) Ballymaloe. “I remember the first cars coming up the driveway,” Myrtle Allen told me on my last visit, sitting in the leafy conservatory behind her old home. She opened over 50 years ago, and though the original country house seems unchanged, the brand continues to vigorously evolve. 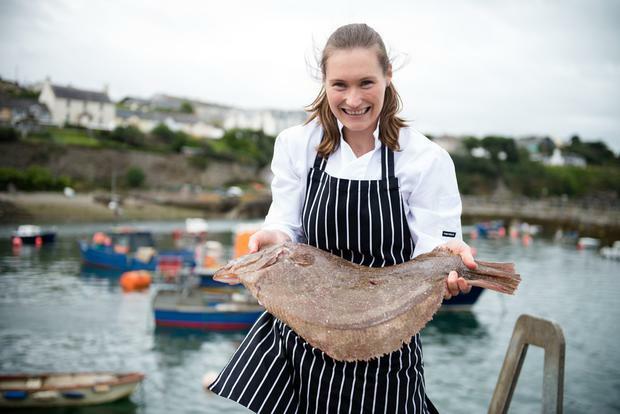 Take the Kerrygold Ballymaloe Litfest, scheduled for May 15-17 (last year, it pulled off an all-time Irish food festival coups in booking Noma’s René Redzepi). Take the Grainstore, a converted 17th century warehouse hosting plays, screenings, concerts and festivals as well as regular ‘drop-in’ classes such as Yoga and Bridge. And that’s not even starting on the bread-making classes. Sure, it’s expensive. You may even find things a little too prim (check out the black-and-white maids’ uniforms). But the Allen family’s great trick has been to keep moving, whilst allowing guests to feel like time is standing still. 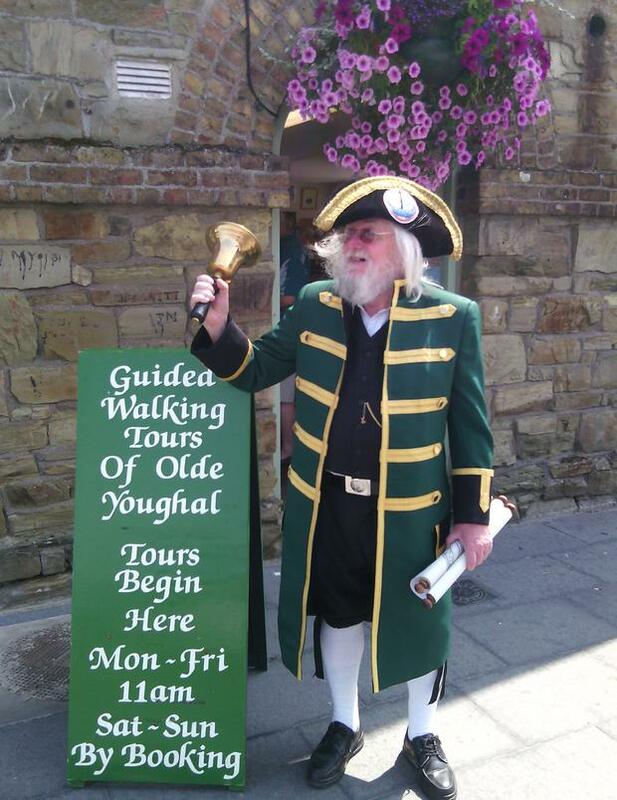 Meet Clifford Winser, Youghal’s Town Crier. But Clifford is much more than that. He not only rings his bell, dresses in full livery and offers hearty welcomes (and heartier photo opps) to visitors - he acts as a tour guide too. Best of all, he was a category winner at The World Town Crier Tournament in Chester in 2014… something to shout about indeed! Youghal is one of several historical stops on the Ring of Cork (the full route was created by the people of Glanmire, Carrigtwohill, Cobh, Midleton, Carrigaline, Crosshaven and Ballincollig). Its towering Clock Gate, Myrtle Grove (once home to Sir Walter Raleigh) and 13th century St Mary’s Collegiate Church are highlights... We wonder if Clifford has ever done a spot of town crying in St Mary’s, where round earthenware jars placed high in the chancel are said to yield spectacular natural acoustics? Fota Wildlife Park just keeps getting better. 2014 was the busiest year in its history, and it’s following that with an expansion of its Asian Sanctuary to include Indian rhino in July, with Asian lions following in 2016. It’s an expensive visit at €15/€9.50 or €45.50 for a family (2+2), but a great day out nevertheless (oh, and don't miss the cheetahs). You won’t find rhinos or cheetahs at Leahy’s Open Farm, meanwhile, but you will find a good dose of year-round family fun. Just a couple of miles from the village of Dungourney, visitors can feed the lambs and hold the snake, among other activities – and there are go-karts, boat rides and playgrounds too. Cork Harbour has a heck of a maritime history, but the ship that came calling on April 11th, 1912 arguably defines it above all others. The pride of the White Star line dropped anchor for the last time off Roche's Point. After picking up 123 passengers (and disembarking seven more, including Fr. Browne, who shot many iconic photos of the ship), RMS Titanic sailed off to meet its fate in the icy waters of the North Atlantic. The Queenstown Story at Cobh Heritage Centre (€9.50/€5) gives an insight into this amazing chapter in Irish maritime history, with other heritage gems in the town including its cathedral, Titanic Experience (in the former White Star Line offices) and Spike Island, which has hosted a monastery, fortress and prison on its 104 acres. The Jameson Experience is much more than a polished spiel about three basic ingredients – barley, malt and water – and the distilling process that transforms them into the various blends vying for your credit card in the gift shop (tours cost €13/€7.70). Did you know Midleton boasts the biggest pot still in the world, for example, capable of holding 143,872 litres? Or that product lost to evaporation is known as “the angel’s share”? The old distillery itself is full of lovely old stone warehouses, wooden casks and a great, lumbering mill wheel. And of course, the tour ends with a tasting session comparing smooth Irish whiskey with its paint-stripping American and Scotch counterparts. Jameson is owned by Pernod Ricard these days, and said to be the world's fastest-growing whiskey brand, but I like the sense of a distillery that remains at the heart of the local community. “Every last drop of Jameson is a Cork drop,” as my guide says. For something a little different, Neptune Kayak has a tour of the distillery following a guided kayak tour of Cork Harbour, capping things off with a parting glass at “Poc ar Buile” in Ballinrostig - a traditional pub where you'll be invited to pull a pint and relax in front of the roaring fire. The tour costs €70pp (minimum group size of four). Sláinte! Ok, you're unlikely to tour the Ring of Cork in a 1950s convertible. But Movie Junction – the county's only drive-in cinema – caters for all kinds of motors. The experience is available seven nights a week, there are rain canopies (to stop the elements mucking up your view of the screen), and you can tune your car radio into the cinema’s FM frequency to catch the full sound. A double feature deal sees €25 buy two movies any night of the week. Other big, set-piece experiences on the Ring of Cork include Trabolgan Holiday Village, Darina Allen’s Ballymaloe Cookery School, and one you may not have heard of – the regional park at Ballincollig. This is a former military town, and a 19th century gunpowder works is just one of the heritage gems you’ll find cropping up along its stretch of the River Lee. "The AA only accredits hotels that we inspect personally for unannounced overnight visits including a meal," says its spokesperson, Conor Faughnan. "Hence when we say they are excellent, we can stand over it." The 2014/15 Hotel of the Year is Maryborough Hotel & Spa, where AA Secret Hotel Inspectors cited excellent service, continuous improvements, a proactive culture and innovations like its outdoor wedding dome, petting farm and forthcoming orangery in awarding the top gong. Of course, there are dozens of alternatives – ranging from five-star stays like Fota Island Resort and Castlemartyr to Cork classics like the Garryvoe Hotel, Trabolgan Holiday Village and the Bayview in Ballycotton. Details: maryborough.com; fotaisland.ie; castlemartyrresort.ie; garryvoehotel.com; trabolgan.com, thebayviewhotel.com. For more accommodation options, see ringofcork.ie.